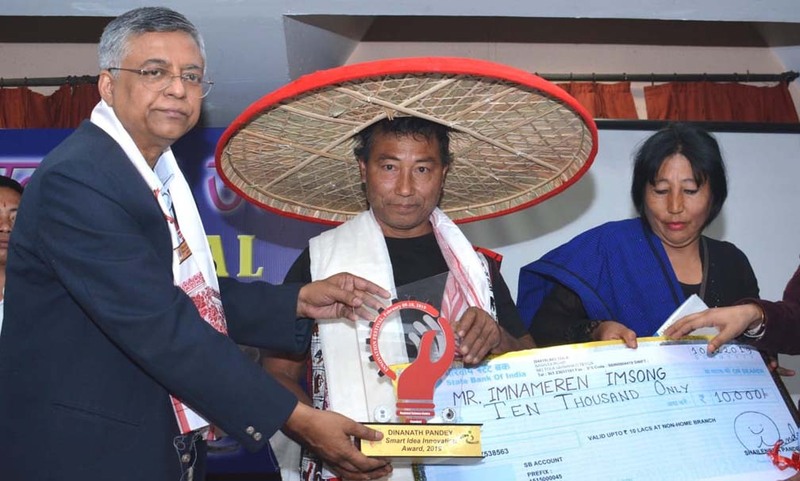 After two-day Innovation Festival organised by Regional Science Centre, Guwahati, the Dinanath Pandey Smart Idea Innovation Award 2018 was presented to Imnameren Imsong from Nagaland on Sunday. According to information, Imnameren Imsong hails from Suhoi village in Dimapur of Nagaland. Imsong has been honoured with the award for his innovative and unique equipment for the development of the the State. The award was presented to him by Assam education and Guwahati development department minister Siddhartha Bhattacharya in presence of Basudev Mandal, regional coordinator of Regional Science Centre, Guwahati and other renowned scientists. A total of 40 innovative projects participated in the festival from the entire Northeast including Sikkim and also from West Bengal. During the innovation festival held in Regional Science Centre, Guwahati on February 9 and February 10, 2019, various unique and innovative equipment like pig farming technology machine, etc. were displayed. Imsong’s pig farming technology machine drew attention of all. Pig farming is an important component in Northeast India. Out of total pig population in India, 28 per cent are grown in this region. With a small investment on building and equipment, proper feeding and sound disease control programme, the farmer can profitably utilise his or her time and labour in this subsidiary occupation. Imsong’s innovation attends to 3 main aspects of pig farming – food, breeding and animal treatment. These innovations can increase productivity of the farmers. Late Dinanath Pandey was a well-known science worker and innovator of Assam, who innovated various technical machines. The Regional Science Centre, Guwahati and the science fraternity remember Pandey every year and confer the award in his name to the new innovators who are working to transform the society with their smart innovations.